Generators come full of fuel and will run for 5 hours on a tank. If your event is longer the cost of additional fuel will be added. 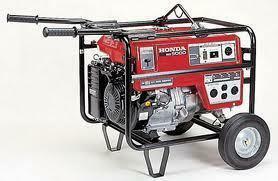 We rent these as a convenience to you the customer, if there a problems with the generator we cannot be held responsible.